True Believers, we're mere days away from opening day of Ant-Man and The Wasp: Nano Battle!, the highly ant-icipated Marvel-themed attraction at Hong Kong Disneyland. This one-of-a-kind interactive adventure opens to the public this Sunday, March 31! 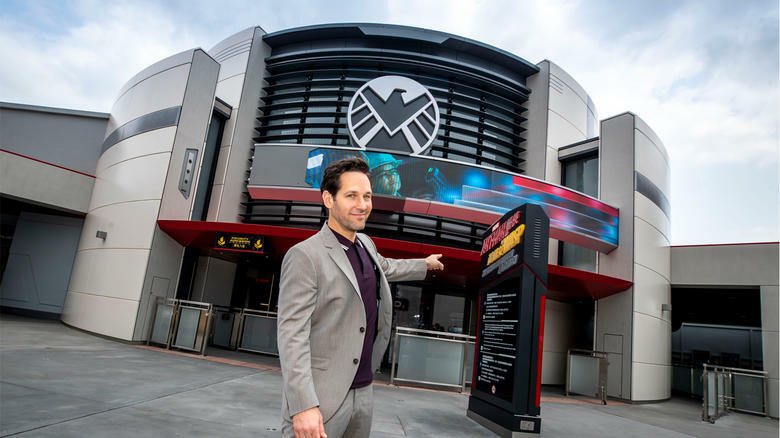 In celebration of the launch of Ant-Man and The Wasp: Nano Battle!, Paul Rudd, who plays the MCU's Scott Lang/Ant-Man, was present for a sneak peek of the attraction yesterday. Ant-Man and The Wasp: Nano Battle! continues Hong Kong Disneyland's Marvel story that began with Iron Man Experience. Tony Stark AKA Iron Man set up a pavilion at Hong Kong Disneyland for visitors to learn about the new tech Stark Industries is developing to keep the world safe. However, Hydra has launched a two-pronged attack targeting both Stark Tower in Kowloon and the S.H.I.E.L.D. Science and Technology Pavilion. While Iron Man is fighting Hydra at Stark Tower, he calls upon Ant-Man and The Wasp to help protect the Pavilion against thousands of Swarmbots under the command of Arnim Zola, bent on stealing the Pavilion's Data Core. Paul Rudd and Evangeline Lilly reprise their roles from Marvel Studios' "Ant-Man and The Wasp," fighting alongside guests in this epic battle throughout the entire immersive experience. This entirely new Marvel story also features the first Hong Kong-specific Marvel character, Leslie Lam, the Chief Engineer of the S.H.I.E.L.D. Science & Technology Pavilion. Learn more about the high-tech, high-energy ride attraction here. 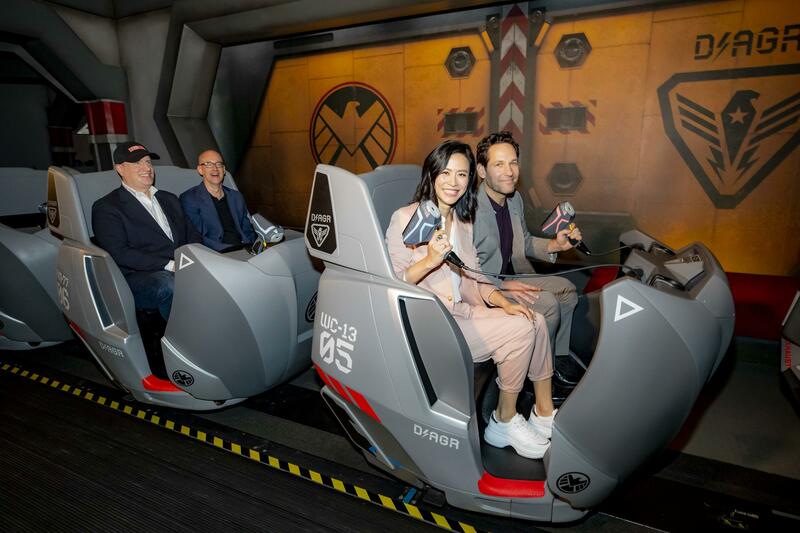 In addition to media and Marvel fans, special guests who joined Rudd at the Launch Ceremony included Marvel Studios president Kevin Feige, Marvel Entertainment's chief creative officer Joe Quesada, "Ant-Man" director Peyton Reed, producer Stephen Broussard, and actress Jessica Hsuan, who plays Leslie Lam for the attraction. As you navigate your way through Ant-Man and The Wasp: Nano Battle!, you'll be getting some local references by our two heroes. Eagle-eyed Marvel fans know to keep a sharp eye out for hidden Marvel details. The Secure Storage Vault for Alien & Weapon Technology inside the S.H.I.E.L.D. 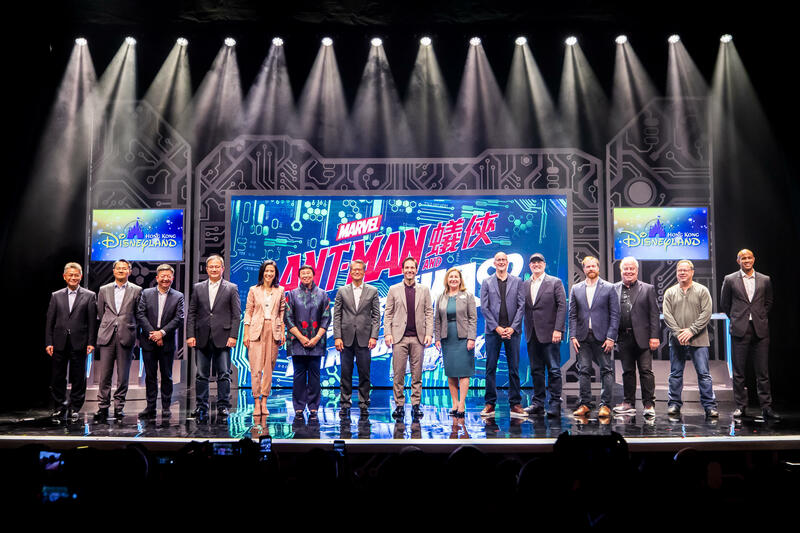 pavilion showcases 14 types of artifacts and research items from Marvel films, TV shows, and comics, some of which are unique and exclusively exhibited at Hong Kong Disneyland. Ant-Man and The Wasp: Nano Battle! is open to the public this weekend on March 31!